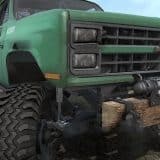 – Mode Always Sun + Fog Reduction + Blue Sky version 1 for Spintires: MudRunner . 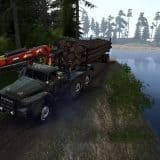 But remember that SweetFX can conflict with the editor (for those who use it), and the fashion that changes the transparency of the water and the sky – with multiplayer. PS: I thank all the authors, whose work was used in the process of creating this fashion and I apologize for changing your textures, did for myself, but decided to share with those who wish, I hope you do not mind.